Vita Italiana, Italian life classics. 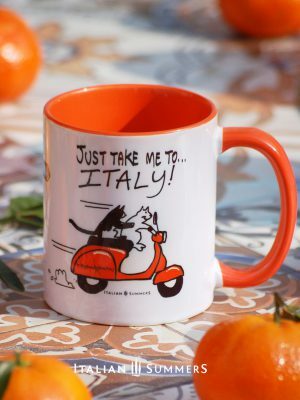 That happy feeling you get when you eat a tasty Gelato, hear the word ‘Amore’ or see a vintage Vespa…..it’s Italy,…that funny feeling is what Italy does to you! 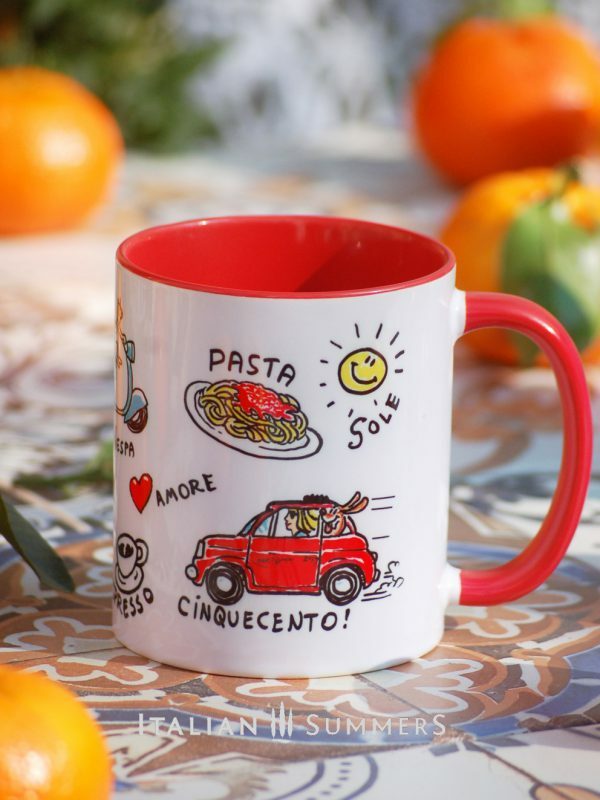 🙂 We collected the most basic Italian classics on a mug and it just makes you smile all day. 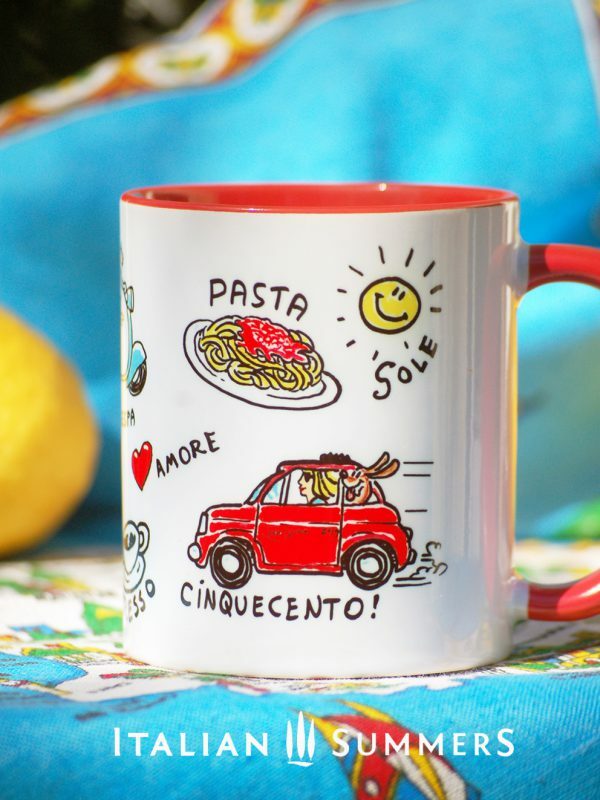 For the best Italian quote on a mug ever look here! 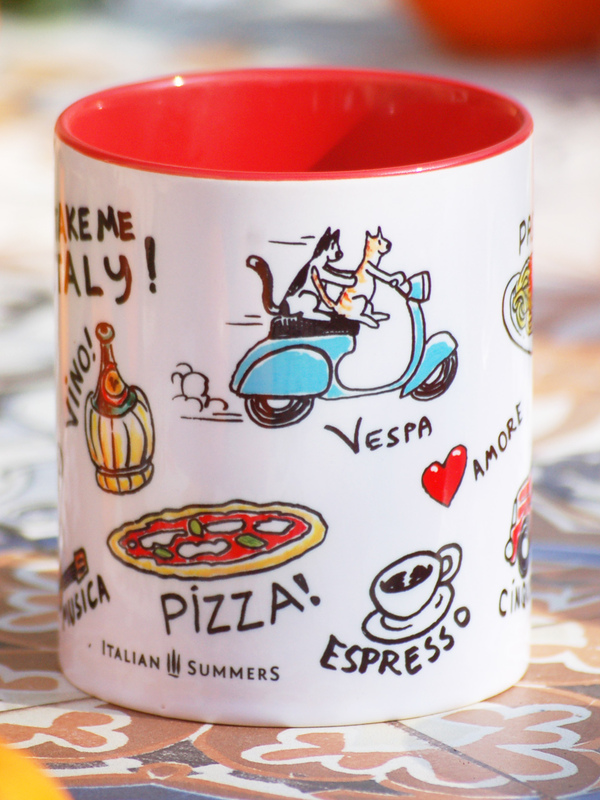 Available colours of the mug: red (default), yellow, blue, orange. 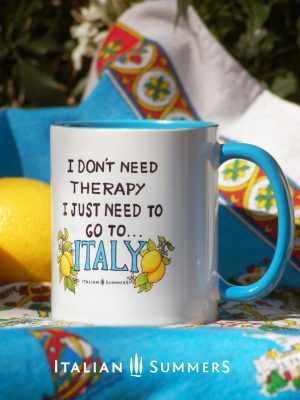 Simply write it in the order form. Volume: 330 ml / 11 oz. 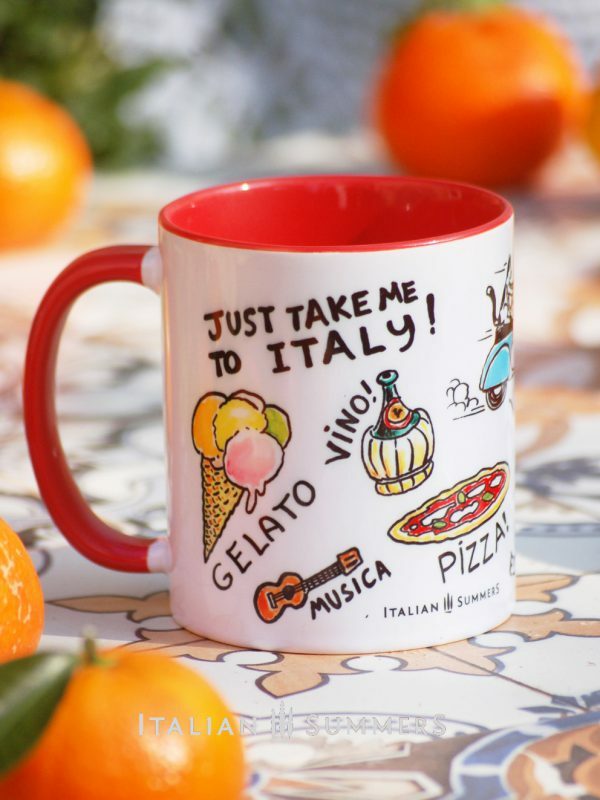 For weddings and events we can personalize this mug!